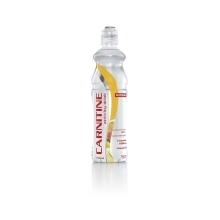 For and occasion of 25th anniversary of the NUTREND company, we created a brand new refreshing beverage Carnitine Activity Drink with mojito flavour and newly also with light bubbles. Limited edition made using quality spring water, containing caffeine and taurine with typical Summer flavour will refresh and energize you during the day. So enjoy the party and celebrate with us!